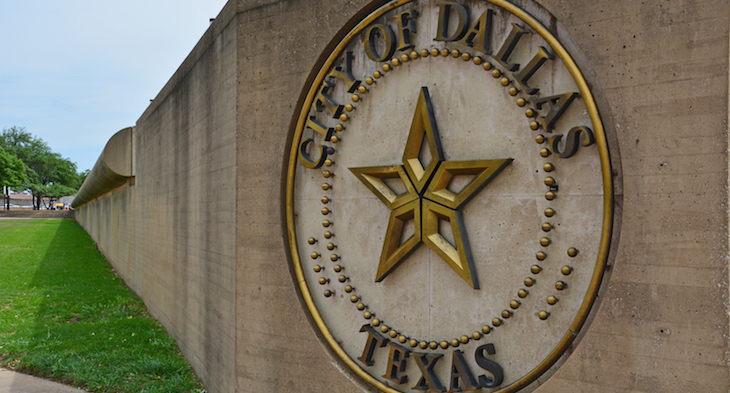 Fast Fact: More than 600,000 furry friends call Dallas home. A giant basset hound even served as mayor of one of the most popular entertainment districts as recently as last year. Those skyscrapers aren’t just for decoration. 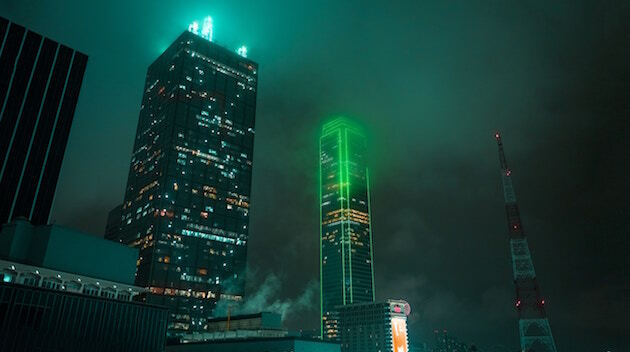 Dallas is home to 18 of the Fortune 500 companies and 18 of the top wealth holders on Forbes Magazine’s list of richest billionaires. Much of this wealth is concentrated in downtown’s buzzing business hub. Don’t let the southern drawl fool you: business, innovation and tech in Texas is just like everything else in the state: larger than life. Downtown, a flood of new investment money is turning old buildings into new mixed-use developments, making downtown a true live-work-play space. Approximately 13,0000 residents (and counting) live downtown, and, at first glance, anyone would take a bet declaring that each and every one of them owns a dog. (Even local safety officers have been known to give out dog treats at busy intersections.) The DART light rail and bus system means there is no need for a car here, though plan on eating out since downtown still doesn’t have a grocery store. Or, buy your produce as it should be: fresh, organic and local, at the Dallas Farmers Market @ the Shed. Then take any furry friends under your care to Klyde Warren Park and enjoy a big grassy area to run and food trucks galore. Just a few minutes east of downtown, this is where people live who want to be close to the city, but don’t like the city. Lots of families live here, and there’s a historic theater and great restaurants. This former industrial neighborhood is now a hub for the arts just east of downtown. This is the place for live music and rich history. This upscale, walkable community with multi-use developments combine housing and retail. This area is thriving and considered one of the hottest places to live right now. Home to shops, bars and restaurants, Knox-Henderson has a suburban feel and offers easy access to the popular Katy Trail. This walkable shopping and entertainment destination full of eclectic eateries lies just south of downtown. Locals are divided over whether this neighborhood is the next Austin, or still a little rough around the edges. This major entertainment hub is famous for Wadsworth, a giant basset hound who served as mayor as recently as 2016. Often referred to as the Beverly Hills of Texas, this high-end, historic neighborhood offers ritzy shopping and dining. It’s also home to the Dallas Country Club, and there are landscaped gardens and parks, especially around Turtle Creek, everywhere. Enjoy waterfront views, as well as hiking and biking trails, along Exall Lake. An inclusive community largely defined by its LGBQT residents, this is where you’ll find nightclubs, restaurants and bars along bustling Cedar Springs Road. During Gay Pride, this neighborhood goes off! You’ll want to join the party. Just north of Dallas, you can ooh and aah at the majestic mansions. Homes that are 6,000 square feet are the norm, and the entry point to home ownership here tops $2 million. (Yes, in TEXAS!) This is where you’ll find many of the area’s business and civic leaders, as well as the area’s most elite private schools. Named one of the best places to live by Money magazine, it’s known as a corporate center with a small-town vibe. Downtown Dallas is just 20 miles away, but Plano is a world apart with low crime, lots of open space and great schools. More corporate headquarters, like Frito Lay, are also choosing to relocate here. Home to stately brick McMansions and Lake Ray Hubbard, a hub for water skiing, boating, windsurfing, kayaking and more, Garland is a family’s dream destination. There are parks everywhere as well as a bustling downtown, and a low crime rate. But if you talk to people who actually live in Dallas, just don’t say you’re from Dallas, or they will quickly correct you. You’re in the suburbs, now. When you house sit or pet sit in Dallas, get ready to live large! Grab your boots and your cowboy (or cowgirl) hat, and get ready to put on the glitz and go out on the town. Just remember to give a friendly nod of welcome to all who pass your way.